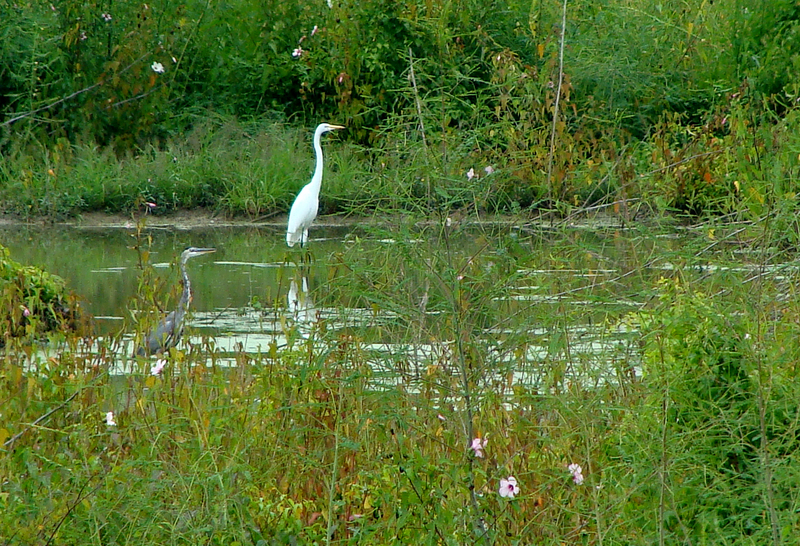 Herons and egrets are beautiful birds with their long, elegant lines. We spied the Great Egret’s white feathers from the road for a photo opp. It wasn’t until the photos were downloaded that we saw the Great Blue. An earlier attempt to capture the Great Blue failed when the closeness of our car made him nervous and off he flew. BLUE,WHITE and GREEN -- A Great Egret's white plumage stands in stark contrast to the camouflaged Great Blue Heron to its left. 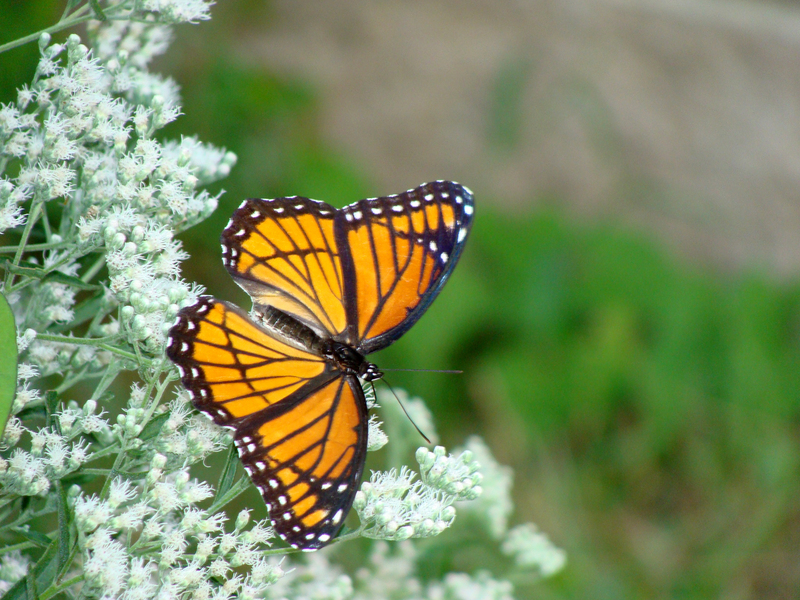 The two were spotted in the Dagmar National Wildlife Refuge in eastern Arkansas. 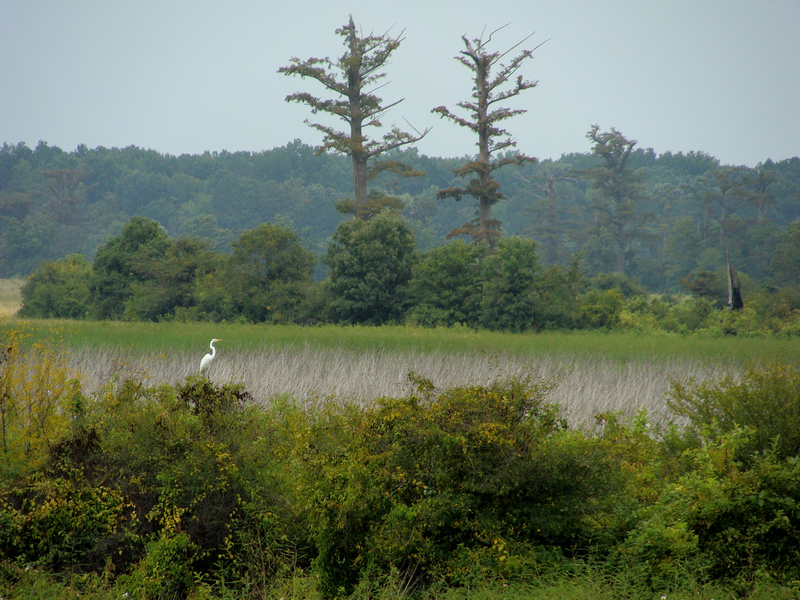 ALONE -- Great egret stands by itself in the Dagmar NWR. 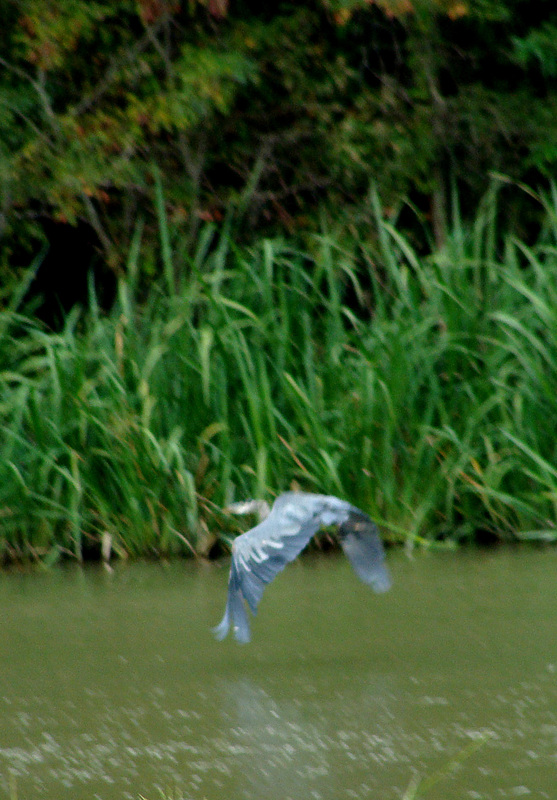 THE ONE THAT GOT AWAY -- Great Blue Heron is but a blur as he flees when the roadster inches too close to the water. Kudzu has no natural enemies in Arkansas, but doesn’t have any friends either. Kudzu was introduced from Japan as an erosion-stopping ground cover and sometimes pitched as cattle forage. Cattle turned up their noses, but kudzu quickly lived up to its reputation as a ground cover. Not only does it cover ground, but it also covers trees, utility poles and anything that doesn’t move quickly. 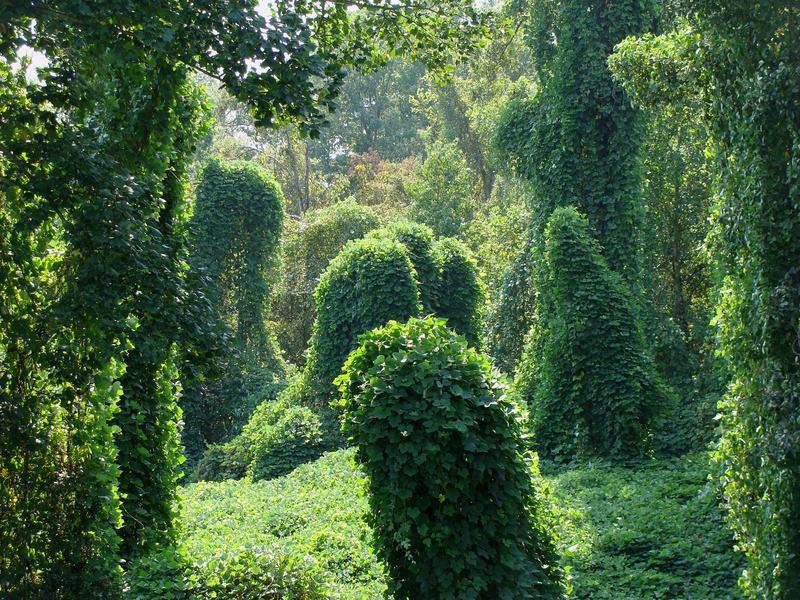 GREEN SHMOOS -- Kudzu in its full foliage creates ghostly shapes as it drapes over trees and other immobile objects, resembling the Shmoos of Lil Abner fame. These Shmoos appeared on Crowley's Ridge at Forrest City. A nice morning to curl up with a hot cuppa. 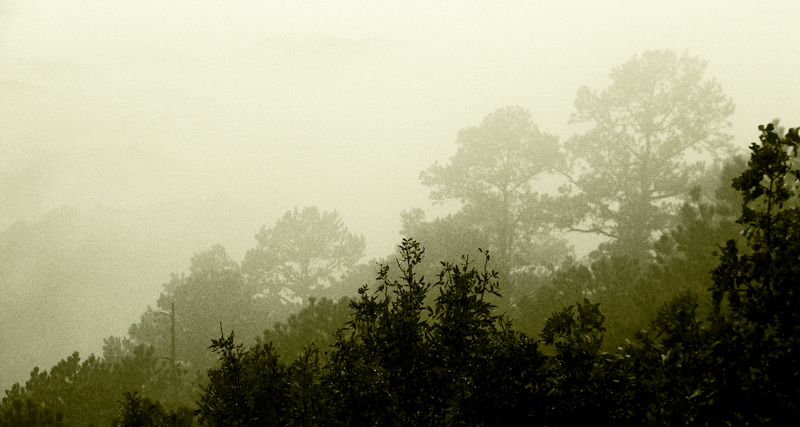 PINES IN THE MIST -- A gothic morning in the Ouachitas. Not all the color belongs to the flowers. 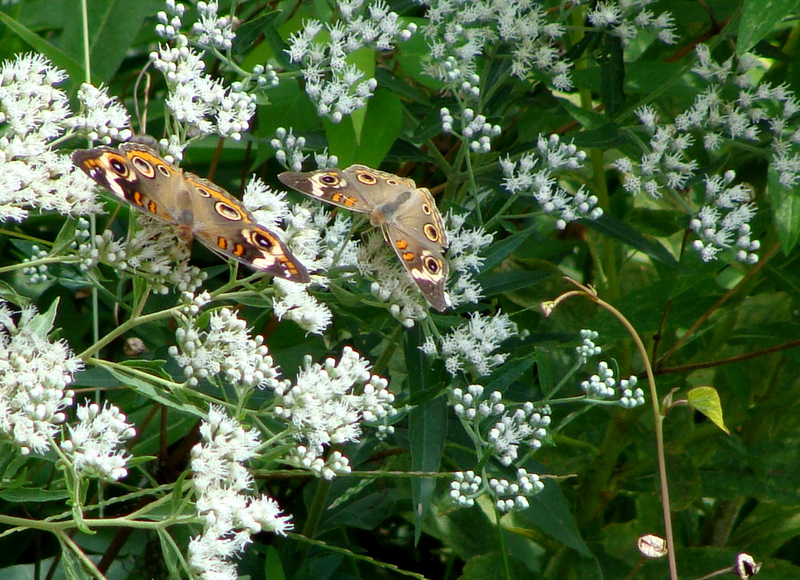 The succession of blooms in the small, then large goldenrods ensures a good four to six weeks of pure butterfly paradise. 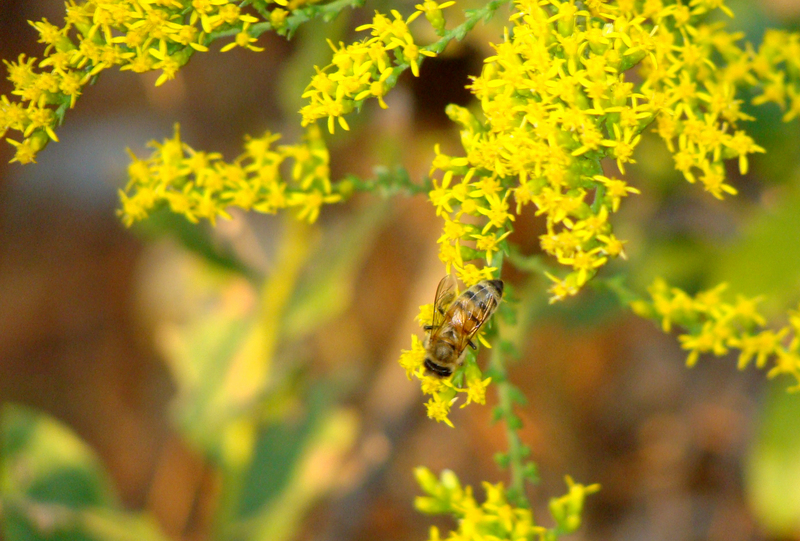 The cooler weather and light rain has also brought out the honey bees and other pollinators. 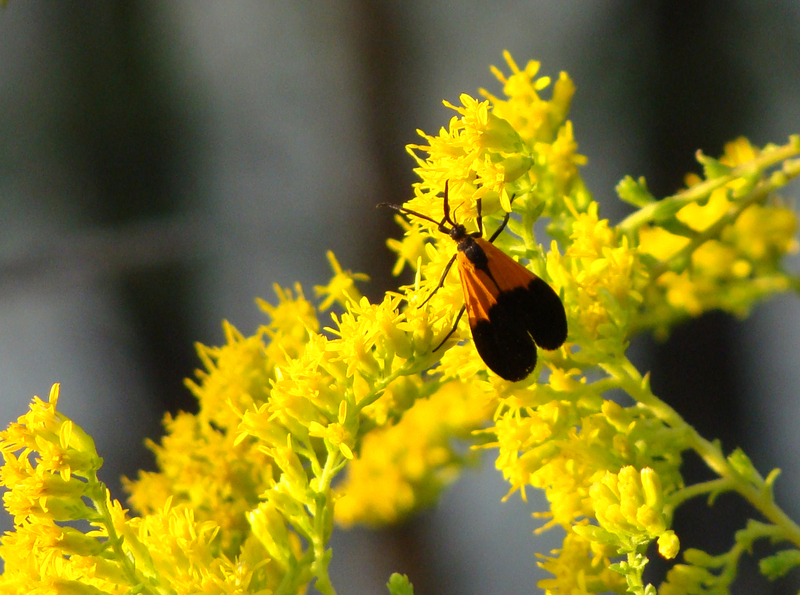 The orange and black back of this net winged beetle contrasts nicely with goldenrod lit by a setting sun. 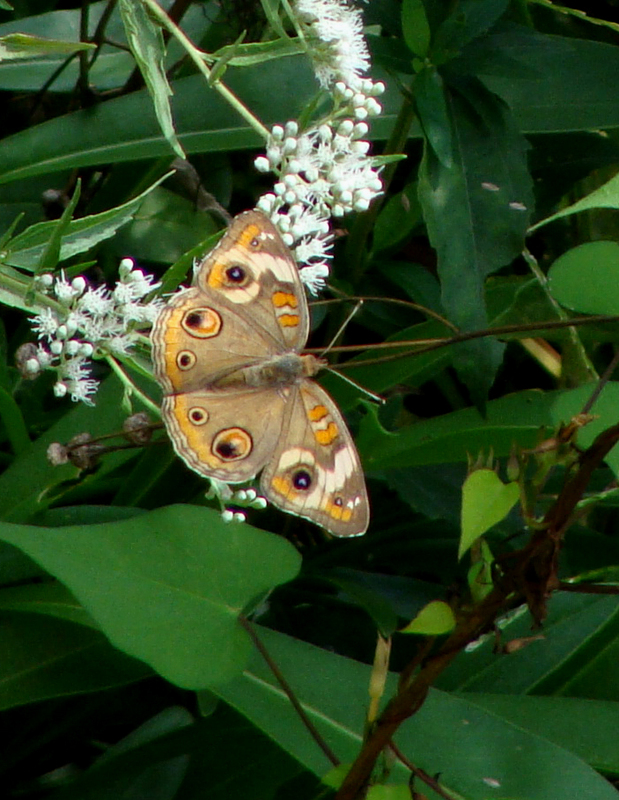 Correction: These are common buckeyes. Honeybees have returned to collect pollen. With morning temperatures in the 50s and some overcast, it was a great time to be out and about. 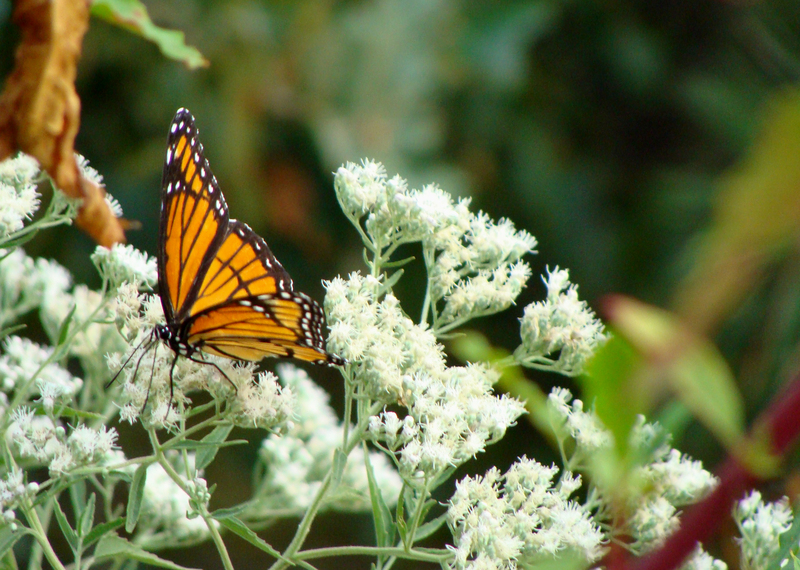 Leaves are beginning to turn and summer’s flowers are enjoying one last hurrah. 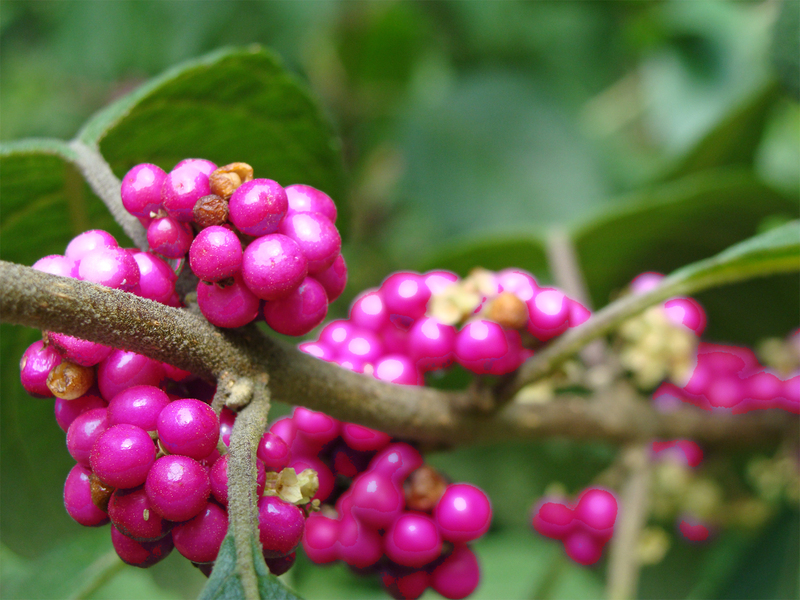 BERRY COLORFUL -- French mulberries are one of my favorite late summer, early fall subjects. Alas, the camera can't quite duplicate the color correctly. 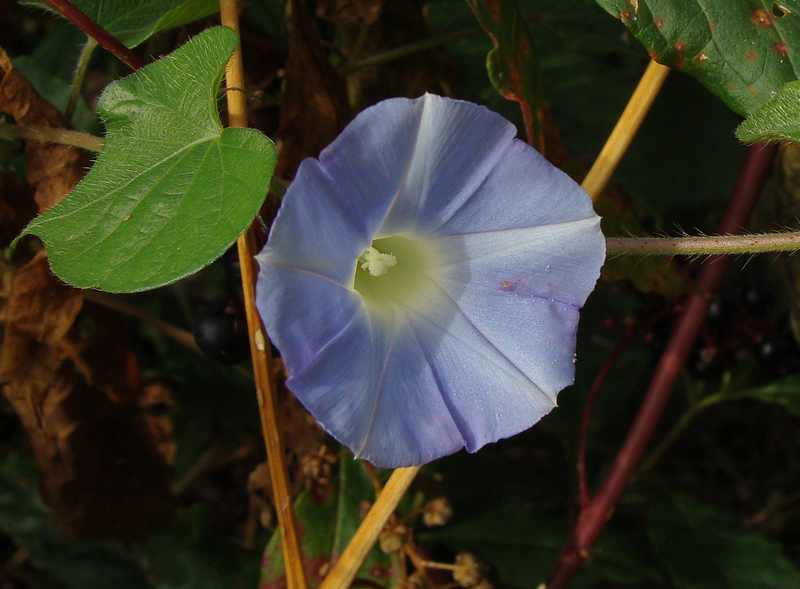 SATURDAY MORNING BLUES -- Wild blue morning glories grow just above the snakes' lair. 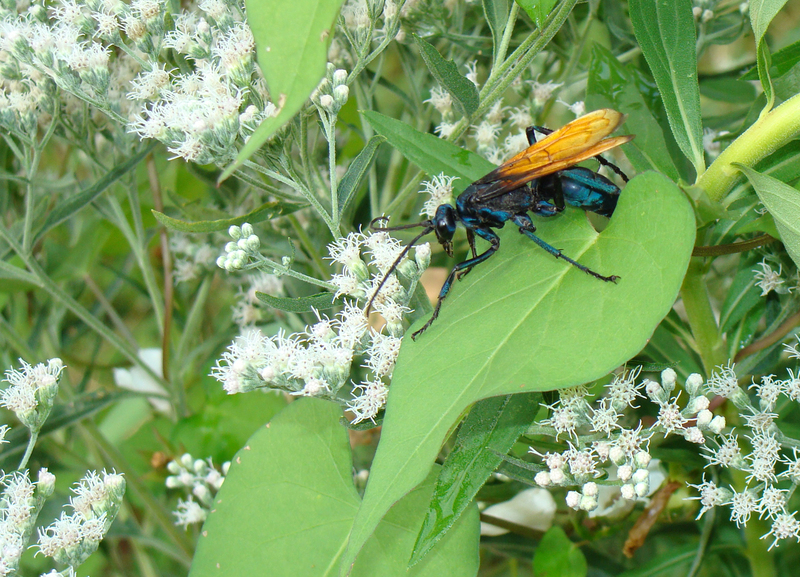 BIG BLUE WASP-- This tarantula hawk wasp with a blueish body and warm buff wings visited the sweet white flowers with a companion. 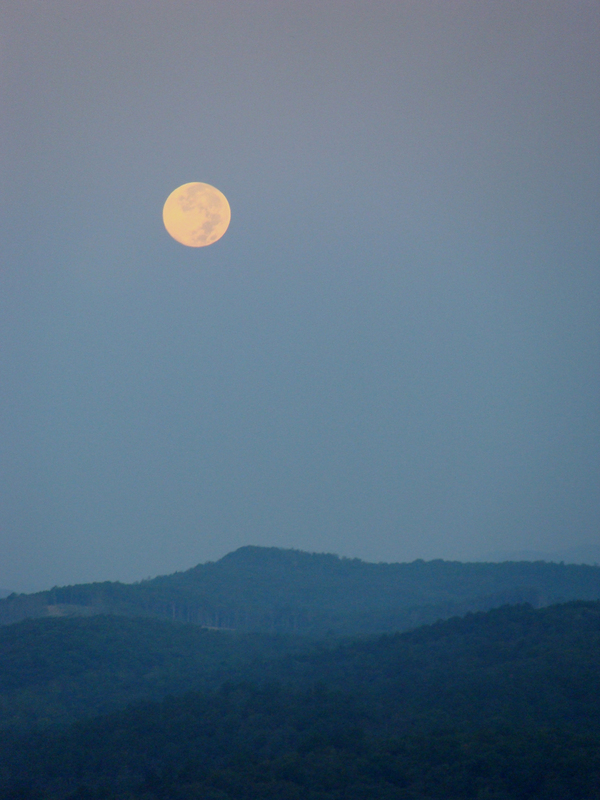 Today’s full moon marks the annual Moon Festival. One of the best things about the Moon Festival are the moon cakes. These delightful molded and glazed pastries are filled with sweetened bean or lotus seed paste and a cooked egg. To see some serious and not-so-serious samples, visit this post about Cheeky Moon Cakes. My mother, a Thai whose father spent some time in pre-Communist China, introduced me to moon cakes as child. It seemed funny to have beans in dessert, but one bite convinced me there was no reason to believe that Vigna angularis was not up to post-entree duty. Learn more about the Moon Festival. FULL OF ITSELF -- The full Sept. 12 moon sets over western Arkansas. 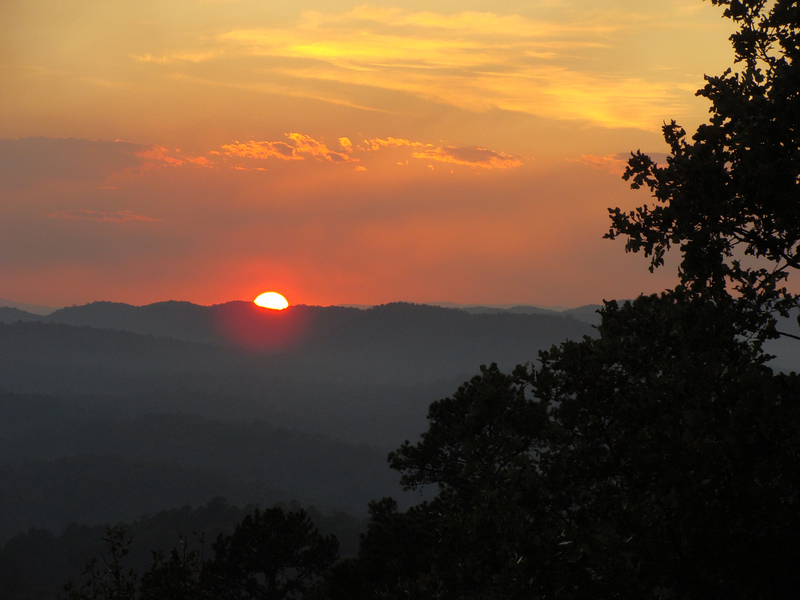 RED -- Smoke from a backburn in Perry County turns the 9-11 sunset red. 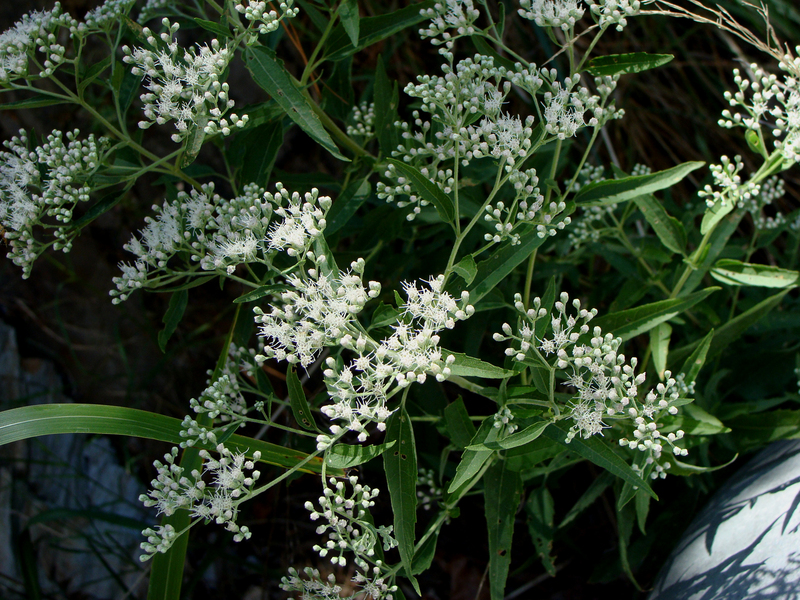 WHITE -- Sweet-scented wildflowers wave between light and shadow. 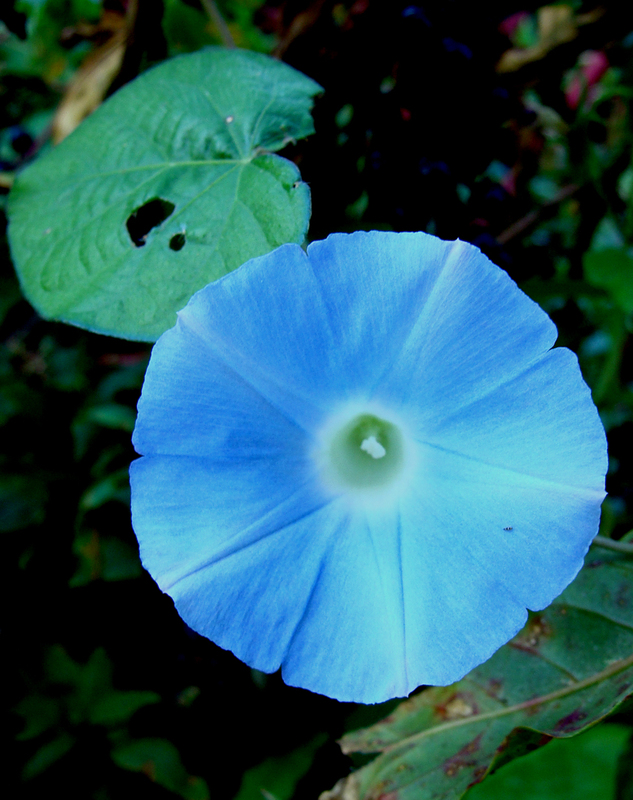 BLUE -- Morning glory shows its colors. A prescribed burn in a neighboring county sent a long plume of smoke across the southern horizon. 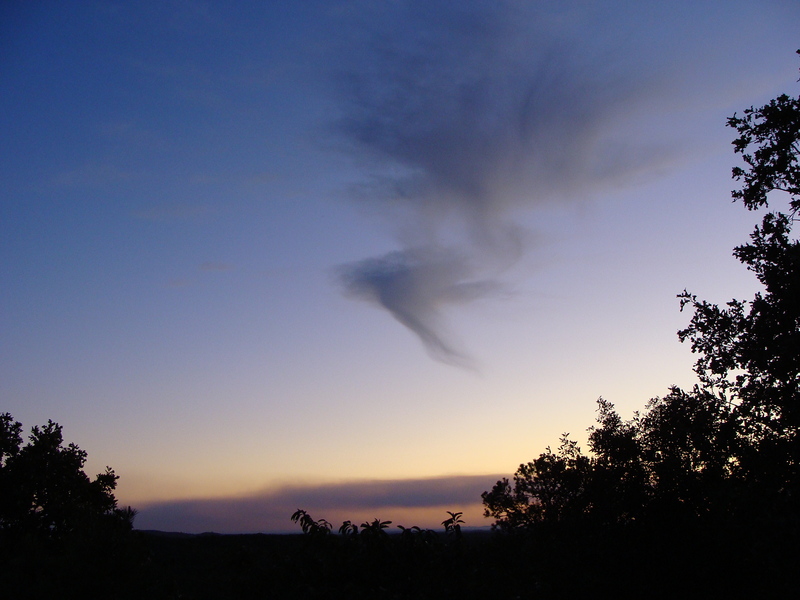 VIRGA -- Virga from two clouds form funnel shapes against the setting sun. The dark cloud close to the horizon is from a prescribed burn near Adona. 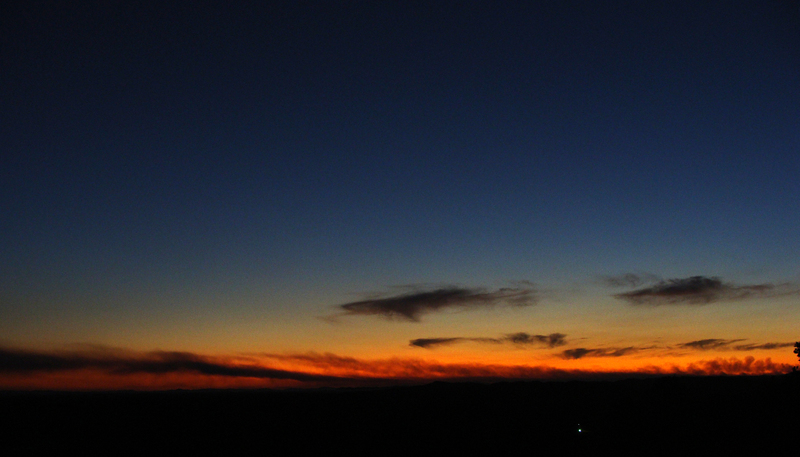 SMOKE SIGNAL --Plume extends for miles across the sky, clinging to the horizon. This walkingstick made the 15-mile trip from Ferndale to the office, hanging onto the wing mirror even at highway speeds. MAKING THE RIDE -- Walkingstick remains clinging to the mirror after a 15-mile road. 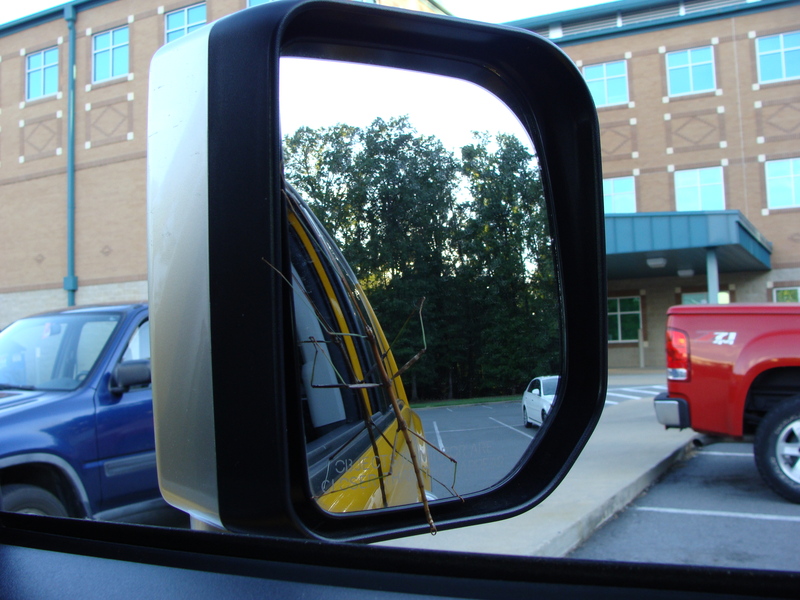 AS CLOSE AS IT APPEARS - Walkingstick clings to the mirror. 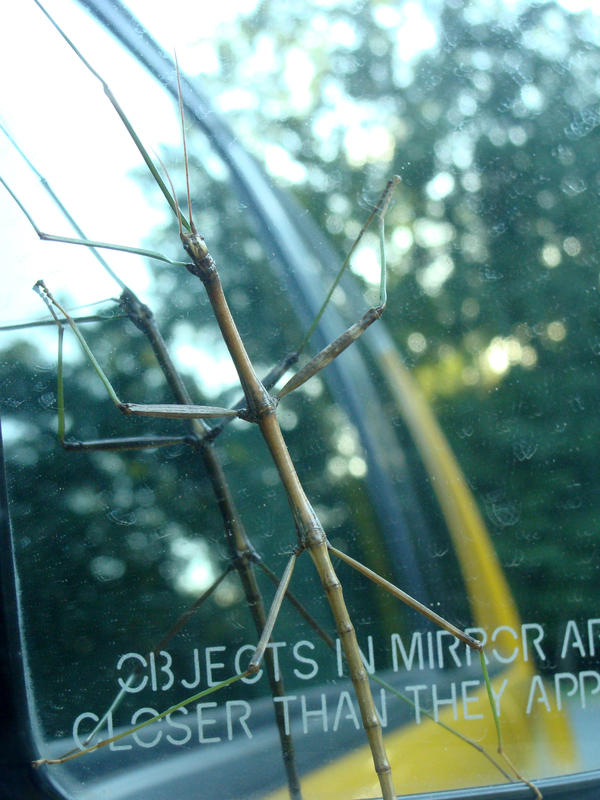 Epilogue: The walkingstick stayed on the wing mirror all day. While on the commute home, he crawled up the passenger side window to the roof. Never saw him again. 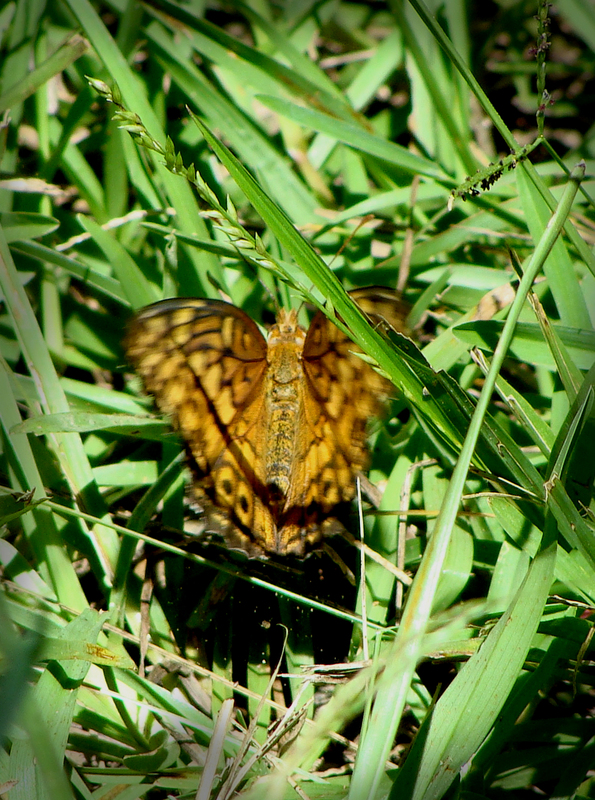 WARMING -- Butterfly rests in a warm Labor Day sun.